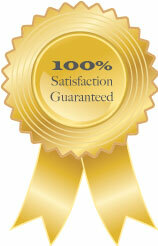 The Bowen Online Guarantee consists of the following warranty. 100% refund for any reason within 30 days of purchase, less PayPal fees. For more information contact the president by e-mail. All sales final on digital downloads, except in the rare situation where the download function fails and you can request help to complete the download. 30 day satisfaction guarantee on printed manuals returned within that time, from the date of you receiving them. Shipping via Canada Post or UPS within 2-7 days depending on the shipping address. I already own Manuals 1-6 and saw that Manuals 1-4 are now included in the Gold package. Is there any discount on the Gold package as I have already invested in your program? Sorry, that isn’t possible, the benefit of the Manuals 1-4 online is that you can also have a digital copy of them.